Chef’s Cut Real Jerky proudly announces its partnership with NFL superstar Von Miller, linebacker for the Denver Broncos. 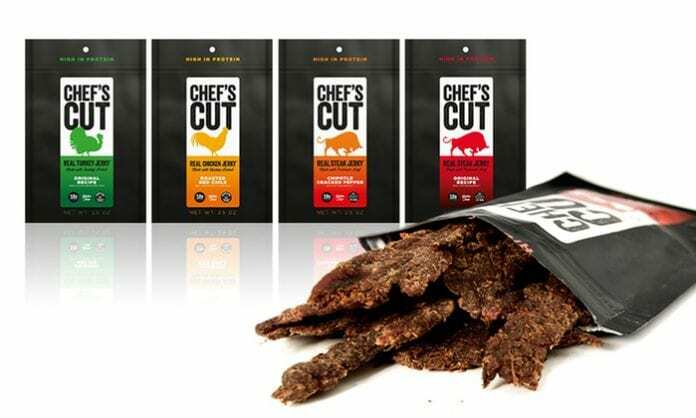 As an athlete looking to fuel his body with high-quality protein, Miller will help build brand awareness for Chef’s Cut Real Jerky by communicating the products’ nutritional attributes. Miller relies heavily on a nutritionist to help keep him in peak physical shape all season long. The ultimate goal for Miller and his nutritionist is to ensure come post season, his body feels just as good as when he stepped on the field for his first game of the season. Chef’s Cut Real Jerky only uses hand-cut, premium meat combined with simple, real ingredients smoked to perfection. A slow marinating process results in a tender jerky unique to the category, infused with robust flavor. Chef’s Cut Real Jerky is low in fat, gluten-free, and provides 12 grams of protein per serving and is available in steak, chicken and turkey varieties. Chef’s Cut Real Jerky is currently available at select retailers, the Chef’s Cut Real Jerky website (www.chefscutrealjerky.com) and Amazon.com. Chef’s Cut Real Jerky was created by Chef Blair Swiler and Dennis Riedel. In 2009, the two golf buddies became tired of having to buy terrible jerky every time they played a round of 18 holes, so they teamed up and began smoking and selling Chef’s Cut Real Jerky to golf and country clubs across the United States. Today, their vision is to change the way people, on and beyond the golf course, think about jerky by creating the best tasting, highest quality jerky on the market. Chef’s Cut Real Jerky only uses hand-cut, premium pieces of meats that are marinated with real ingredients and cured using a proprietary smoking process.